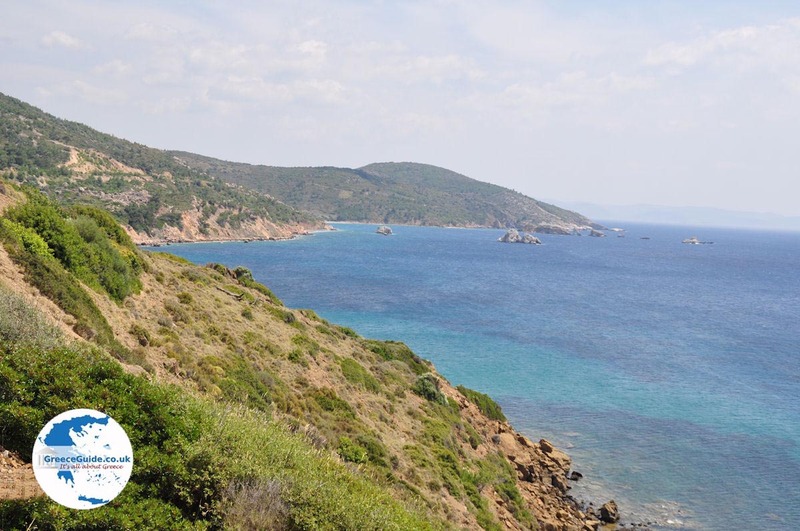 Agia Ermioni is a coastal village on the Greek island of Chios located eleven kilometres south of Chios Town and just three kilometres from Karfas, just behind cape Punta. 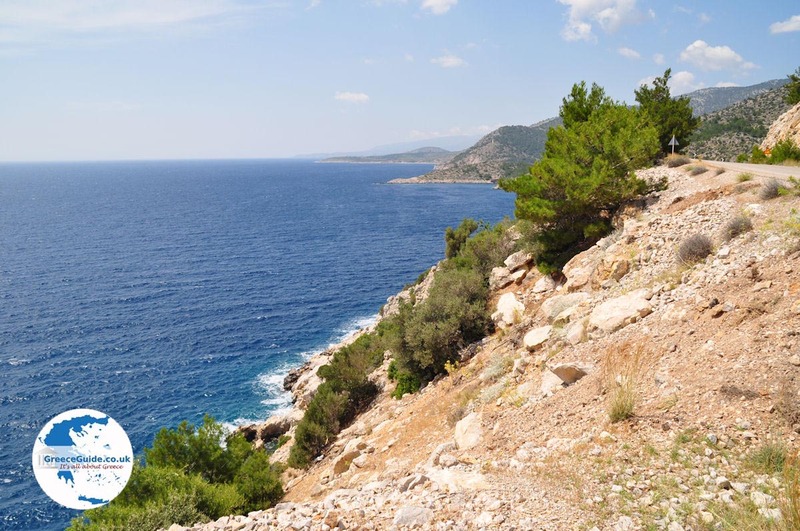 From cape Punta the coast of Turkey is only six and a half kilometres away. 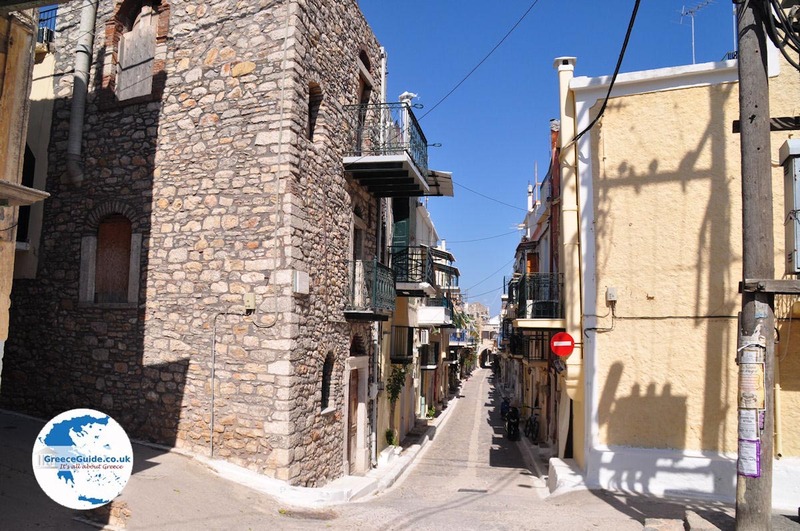 Agia Ermioni has received its name from the homonymous small church (Agia Ermioni) which is built on the beach in the 1754. 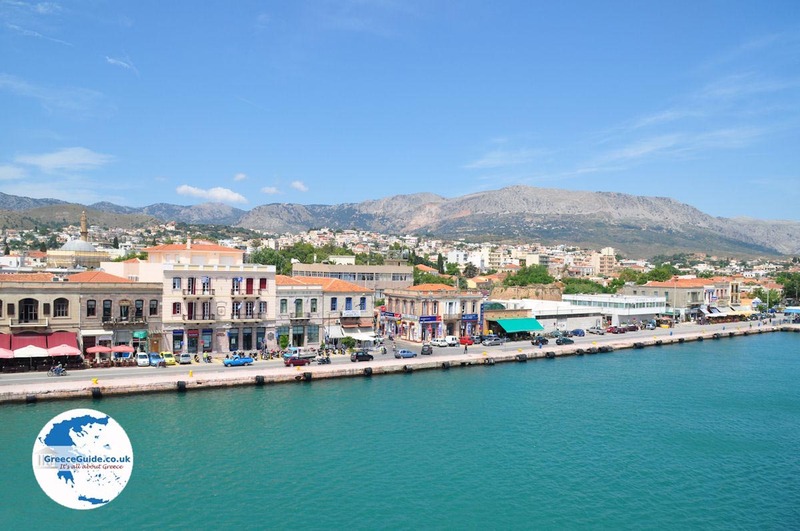 Mantraki is the small fishing port of Agia Ermioni and all kinds of shops, tavernas and cafés are located here. 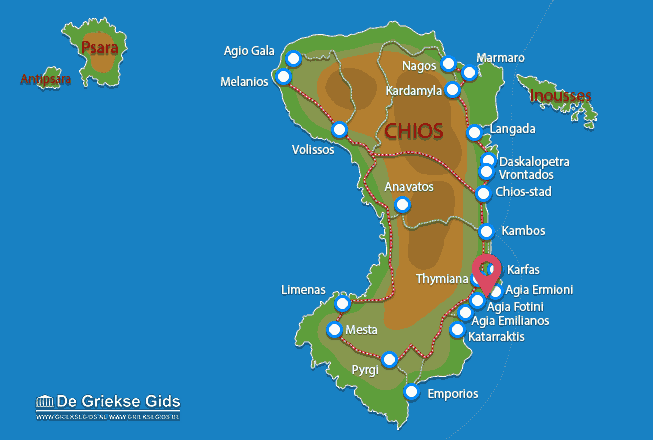 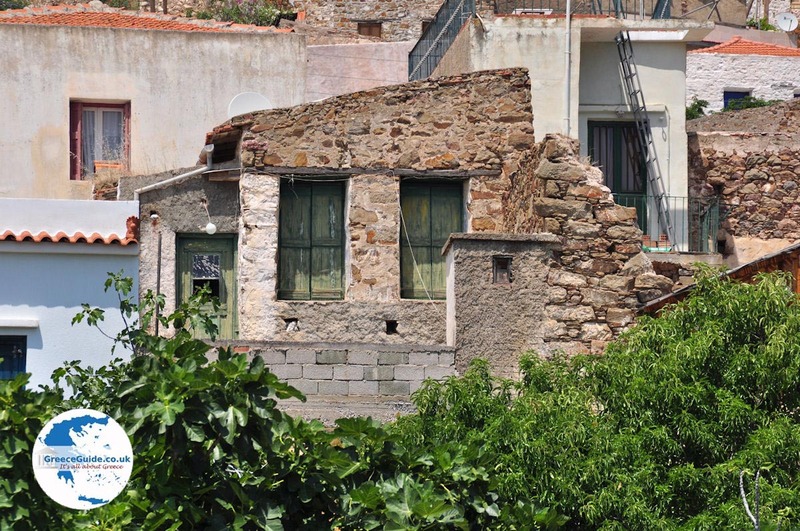 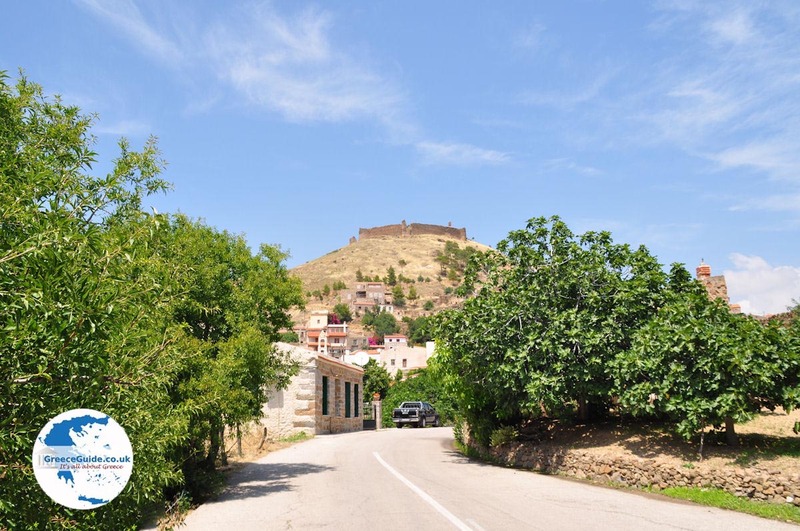 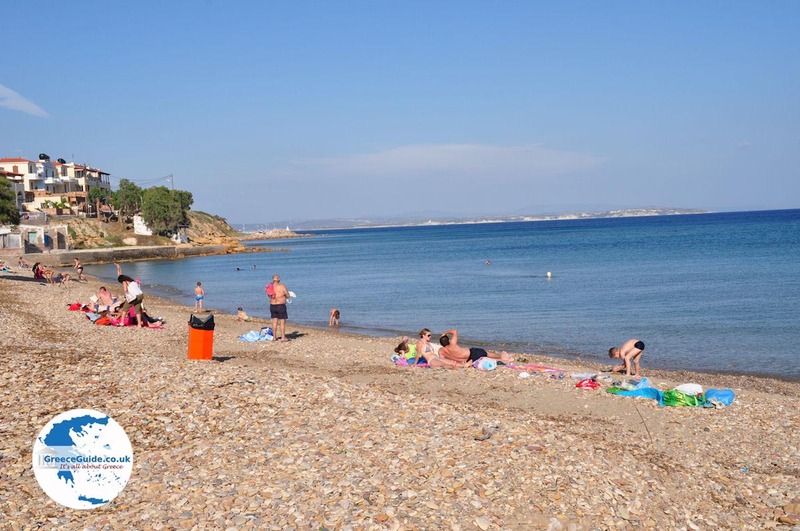 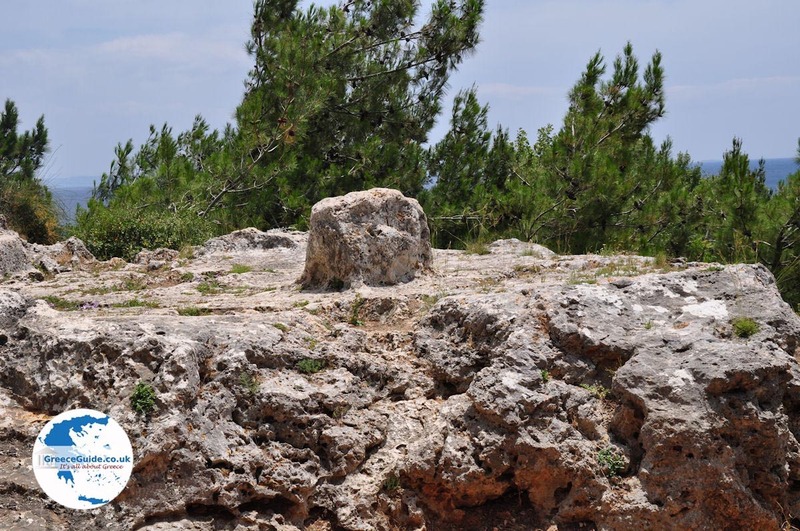 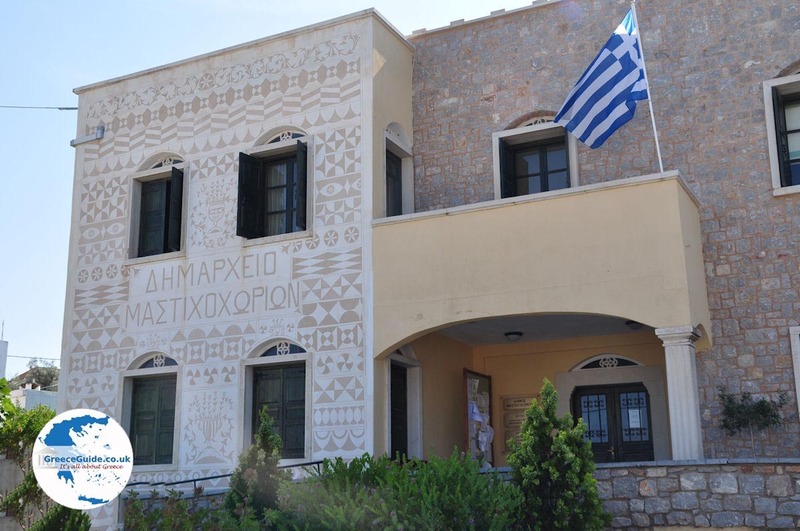 Chios: Where on the map is Agia Ermioni located?